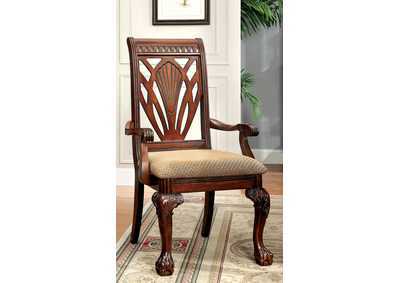 Today’s families often use dining room furniture more than their parents’ generation did. If you’re looking for pieces and sets more versatile and durable than the traditional set only for the holidays, you’ve come to the right store! Sweet Dreamzzz Bedding & Furniture keeps dining room ensembles for every size and need, from cute dinettes to grand 7-piece dining sets to accommodate the whole family and more. Best of all, when you buy from us, you save enough money to lavish on more food! 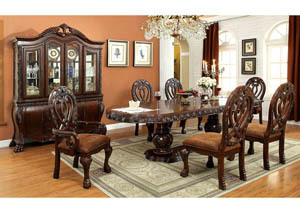 One of our top-choice 5-piece dining room sets is perfect for midsize spaces and gatherings. 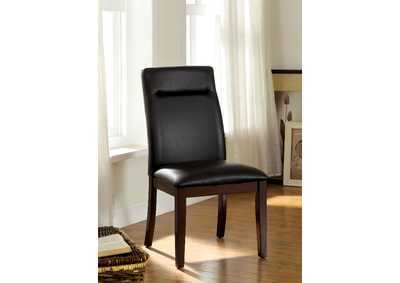 It works perfectly for a kitchen-table or breakfast-nook setup, for example. Mid-brown acacia veneer inlays grace black wooden frames for an understated look. Four leatherette-upholstered side chairs, coming in packs of two, complete this lovely set. For something slightly bigger, a best-selling 6-piece dining set features a distressed white finish on wood for a country look. The companion chairs and dining bench sport dark gray fabric cushions; kids being especially fond of the bench. This dining table also features shallow drawers right below the tabletop, great for stowing silverware and place mats. Now you can enjoy bachelor-pad chic thanks to Sweet Dreamzzz’s selection of amazing home bars. 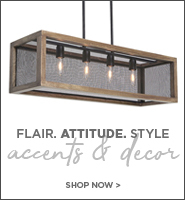 These come in everything from transitional styles to blend in with any decor to assertively modern. 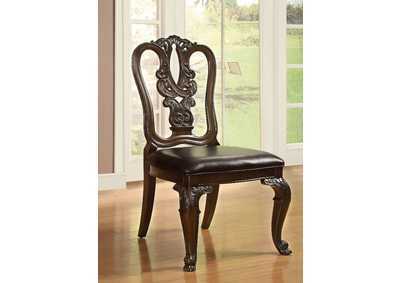 One of our favorite sets of bar stools in the latter category comes as high- or low-back chairs. These have plastic seats in your choice of three fun colors, sitting gracefully atop adjustable chrome bases. As for the bar itself, check out one of our ultramodern “glam” ones featuring a lacquered tabletop, button tufting on the front, open back storage, and chrome legs and handles. For the more traditionally minded, our midsize walnut bar table fits handsomely in many dens and rec rooms for an enjoyable evening at home with friends. To get your dining room furniture at five-star quality for amazingly deep discounts, always rely on our Budd Lake, NJ store.